Our bulk soil is ideal as a complete mix for vegetable beds or large planting area. It is perfect to amend our native soil for happier and healthier plants. When you buy bulk soil from Civano Nursery you become part of the TEP Green Waste Recycling Program a ‘National Treasure’. On a plot of land next to Tucson Electric Power’s H. Wilson Sundt Generating Station, green-waste compost from tree trimmings forms neat dark-brown rows. The mulch – carefully chipped and composted with bacteria – is destined for the 70-acre Civano Nursery farm in Sahuarita, where it will grow trees, shrubs and perennials that will be planted throughout Pima County. TEP and Civano Nursery have worked together for nearly 10 years to recycle green waste clipped from around power lines. The partnership each year keeps about 30,000 cubic yards of tree branches, leaves and other waste from local landfills. 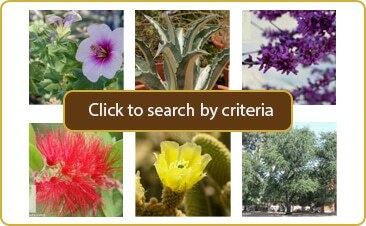 The companies, in turn, donate mulch and trees to charities, schools and hospitals – benefiting the Tucson community. Civano Nursery recently donated two trees to the Southern Arizona VA Health Care System. TEP employees helped plant the trees during a ceremony honoring TEP for its volunteer efforts to help veterans during the United Way Days of Caring. Also recently, compost was donated to and placed in garden boxes outside the Tucson Urban League. The TEP-Civano Nursery relationship is unique, said TEP’s Harold Hummer, who initiated the partnership in 2004. TEP is the only utility nationwide to have a successful, robust composting program, he said. Hummer spotted Civano Nursery while driving down the Old Nogales Highway in June 2004. At the time, TEP was looking for a company to recycle its green waste, which was gathering in heaps in a corner of its Irvington campus property. Hummer stopped into the nursery, met Alex and Les Shipley, and shortly thereafter, the partnership was formed. Les Shipley knew nothing about composting at the time. Green waste is brought to the mulch yard by Asplundh Tree Expert Co., which cuts it from around power lines throughout the greater Tucson area. First, the clippings go through a grinder and are mixed with water and a bacteria inoculant. After a second grinding, the material is shaped into windrows, where the composting process is helped along with a special machine that keeps it aerated and moist. The process takes about six weeks to complete. About 12,000 cubic yards of the finished mulch is shipped to Civano Nursery each year. With it, Civano grows close to a half-million trees, shrubs and perennials each year. About 95 percent of the plants grown at Civano Nursery are planted in Pima County. The nursery supplies plants to 300 to 400 local landscapers. This past year, Civano Nursery invested about $400,000 in new machinery that speeds up the green-waste grinding. “It’s important for us to run an efficient and safe yard,” Shipley said. The partnership also promotes efficiency at TEP because the company doesn’t have to bring green waste to the landfill, a wasteful and time-consuming process.